Businesses these days cater to clients from all across the world, from varying time zones. This means, their timings are no more restricted to the standard hours. In fact, there are several businesses that run operations round-the-clock. There’s no predicting the onset of a lock & key emergency in such circumstances. There might be a conference with a prospective client you might miss out on because the key to the meeting room is nowhere to be found or you might find your locks vandalized and need a lock replacement right away. 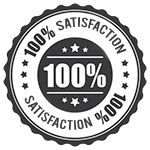 We understand the diverse needs of business clients – and we understand that they might crop up at just about any time. For this reason, Seattle Doors & Locksmith operates a 24-7 locksmith service unit in Seattle, WA area, dedicated to providing unparalleled commercial lock & key services. 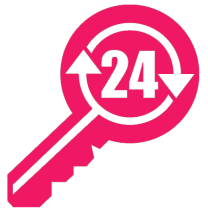 24-7 locksmith service is just a phone call away. Dial 206-408-8173 !